In 1820, Charleston was home to 75 silversmiths who turned out everything from dainty sugar spoons to elaborate tea services. Today only a handful of such artisans remain here, but there’s still a coterie of shops that sell, monogram, and repair silver. In a town where entertaining is as much of tradition as is passing down pieces for entertaining, that’s good news for newlywed hostesses. And while casual cocktail parties tend to trump fancy suppers nowadays, retailers say brides-to-be would still do well to wish for a few silver pieces. Rhett Outten is co-owner of Croghan’s Jewel Box, where locals have found wedding gifts (and grooms have purchased engagement rings) for 100 years, and she says her mother always told customers that two or more serving trays—anything from a round, 12-inch sandwich tray to 24-inch gallery tray—were essential. “They can carry everything from dishes of food and condiments to makings for the bar,” says Rhett. Charlotte Crabtree, co-proprietor of The Silver Vault of Charleston, chimes in, saying that pitchers are also fundamental. “People tend to think of pitchers strictly for water, but they can be used for serving sangria, margaritas, or orange juice, as well,” she says. To complete a modern beverage service, Charlotte recommends adding a dozen silver mint julep cups to your wish list. For his part, Andrew Birlant Slotin of George C. Birlant & Co. Antiques says, “No home should be without one (or several) illustrious Charleston rice spoons.” The long-handled spoons became a staple in Lowcountry homes in the 18th century when they were used to stuff fowl with rice, the area’s main cash crop until the Civil War. Today, in addition to serving rice, the spoons (left, from George C. Birlant & Co., $195) can be used for grits, stuffing, and casseroles. As for flatware, he suggests aiming for 12 place settings, each with a dinner knife, teaspoon, soupspoon, and dinner and salad fork. Though antique designs prevail in Lowcountry homes, local silversmith Kaminer Haislip creates modern sterling serving pieces, many commissioned for couples. Rice spoons with embellished handles and pitchers with mirrored finishes and wooden handles are just a few of her current offerings. Whether you opt for antiques, repro-duction pieces, or a custom creation, all agree with Rhett, who says, “Silver is supremely special, no doubt about it.” After all, who can argue with a classic that exudes elegance? 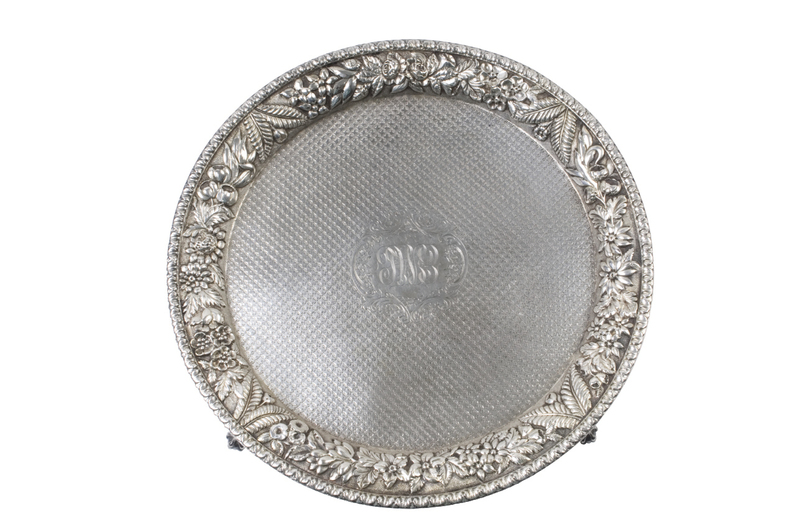 Pull out a silver tray, says Charlotte, and immediately your get-together is dressed up. Choosing between silver and silver plate? 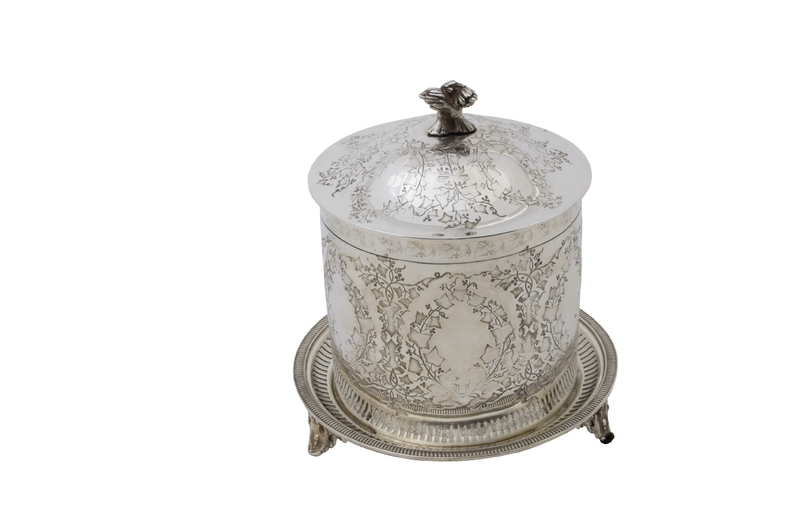 When choosing between sterling and silver plate, retailers say to consider budget and longevity. The latter—a base metal coated by a thin layer of silver—is more affordable. 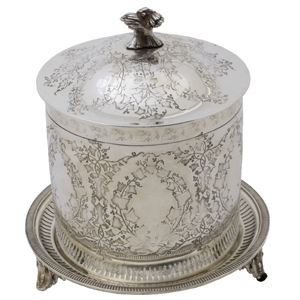 As sterling is 92 percent pure silver, though, it “truly lasts centuries,” says Charlotte. It’s also easier to engrave, a special touch that Croghan’s and East Bay Street’s Sohn & McClure Jewelers (who have more than three decades of engraving experience) offer. Depending on the markings’ depth, they, along with Kaminer, can also remove monograms from antique, passed-down pieces. Find your treasures at these local retailers.